Vintage Home Decor – Ducks! I’ve discovered a wonderful vintage shop! Take a look at these adorable vintage brass bookends – and click through to the shop (I’ll wait). 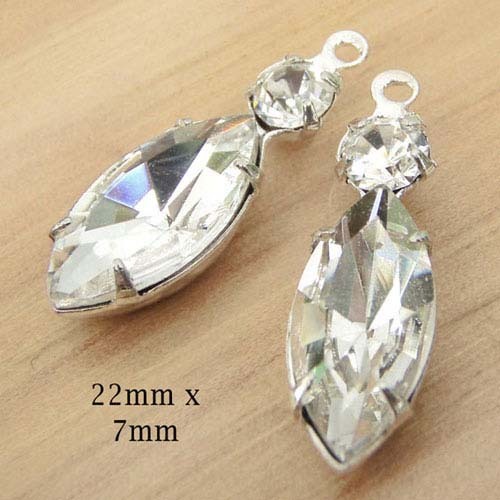 You can tell a lot about the quality of a shop just from the pics. The attention to detail (can you see the item clearly, are the pics informative as well as eye-catching). Then read the comments that previous customers have written – in this case, glowing and detailed. Kemble Richards is run by a mother and daughter duo and you can tell they love what they do – the great finds, the great pics, the great customer service. This is the kind of shop we want to find, and covet, and visit when birthdays and holidays come around. 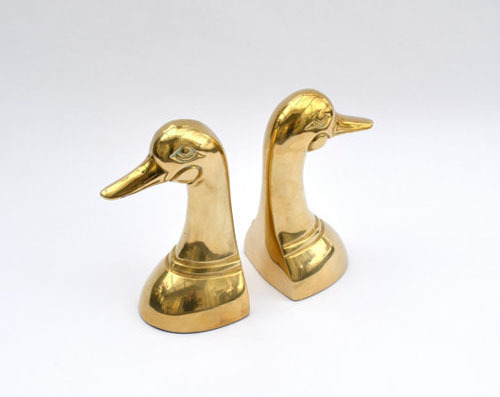 And: brass duck bookends. They’re fabulous *and* functional. Love! And hey. 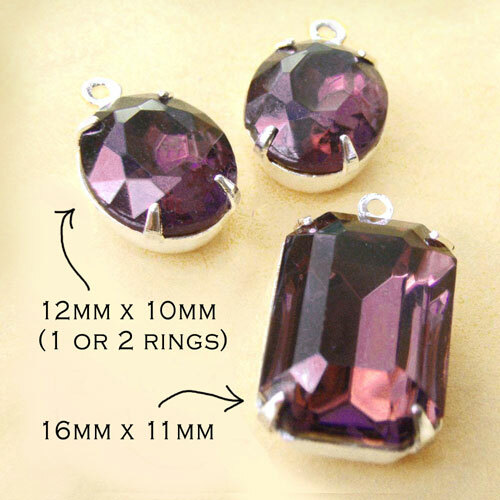 Beautiful vintage jewels in an easy-to-use pendant and earring jewels set – add a chain, add earwires, and you’re good to go? This is a win! Vintage pink prom, party, bridesmaid dress! I love that this dress feels very modern – but it’s vintage. It’s got such clean lines – and a fabulous color – and it’s not *ordinary*, you know? And I love the staging! This is why good pics are important: the girl in this pic looks like she’s enjoying herself. She looks like she could be having fun, that she likes where she is, and who she is. That’s how she looks. That’s what I want a dress to do for me! Plus it’s actually modest – for those times when you need that – but it doesn’t look stupid like most “modest” dresses do. She looks cool, and I don’t mean temperature. I like her – she’s got attitude. That’s not the dress talking – but it’s all part of the package. And it WORKS. You’ll find this great dress at Vintage Life and Design and even if this fab dress is gone when you visit, you will be glad you’re there. Shelly, the owner, has such great finds you are going to be doing some Real Shopping. Gunne Sax. A vintage white wedding purse. Cheetah print shoes – yes, I mean it. You will thank me! See what I mean? 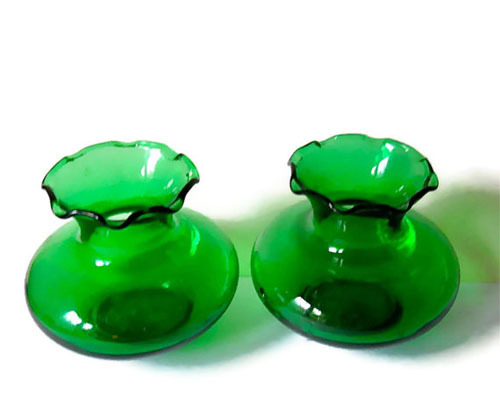 Put these darling vases off-center on your thrifted coffee table, or on a shelf near your window. You’ll smile every time you see them. And lots more. You need to go look, you’ll thank me! I wish I needed a wedding dress (and that this lovely gown was my size). 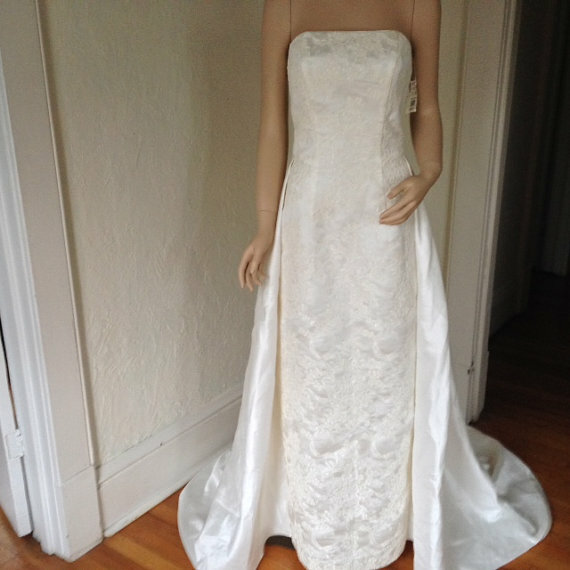 This beautiful wedding gown is vintage, is in great shape, and if you are in the market at ALL, please keep reading! Because: beautiful ivory white fabric with what looks almost like trapumto detailing (machine done but still). Strapless, with tags STILL ON. And a train. A bit of sitting-in-storage dust so it needs to be cleaned – but, unworn! It’s beautiful, it’s classic *and* classy. It’s available from Vic’s Vintage Closet on Etsy. And (probably because Vic is moving, and everything in her lovely shop is on sale) it is selling for $45.00 plus shipping. I am not kidding! If it’s gone by the time you see this post, then you still want to peek. Because she has such lovely items – a Calvin Klein jacket, a Diane von Furstenburg dress, a Liz Claiborne bag – oh, you’ve got to go look. You are going to thank me!